Thanks to the New York State Distillers Guild (NYSDG), planning your New York distillery visits has never been easier! The Guild announced the launch of their new website, nydistilled.com, your one-stop source of information about craft spirits and their production in New York State. Soon after, the New York State Distillers Guild was founded in 2013 and now has more than 60 members located throughout the state. The Guild’s mission is to promote and advocate for the distilling industry in New York State through the collective voice of members and to generate high quality, reputable and successful distilled spirits in New York State. Since its founding, the Guild has grown to include members located in all 11 regions in New York State including farm and urban distilleries. NYDistilled.com makes finding your new favorite spirits a fast and simple process. The site is divided into 5 sections: Explore Regions, Find Our Producers, Explore Trails, Learn the History and Learn About Distilling. Current trails include the Hudson Valley and NYC, but new trails are still developing. You can search for producers by region or by spirit, and a handy little icon tells you which distilleries offer tastings. Each producer has their own page, including a description of the company and a listing of their products with tasting notes, reviews and awards. This site is packed with information about distilling, the development of the craft in New York State, and all of the available locations and products to indulge in right here in New York. 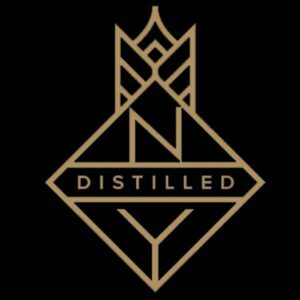 Visit nydistilled.com today to start planning your distillery visits and find some tasty new distilled spirits.